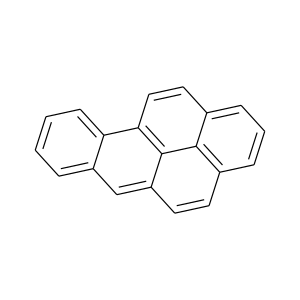 Benzo[a]pyrene is a polycyclic aromatic hydrocarbon and the result of incomplete combustion of organic matter at temperatures between 300 °C (572 °F) and 600 °C (1,112 °F). The ubiquitous compound can be found in coal tar, tobacco smoke and many foods, especially grilled meats. 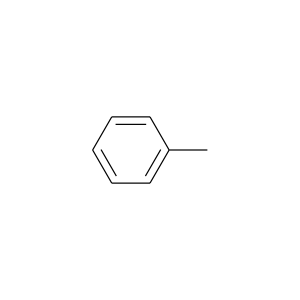 The substance with the formula C20H12 is one of the benzopyrenes, formed by a benzene ring fused to pyrene. 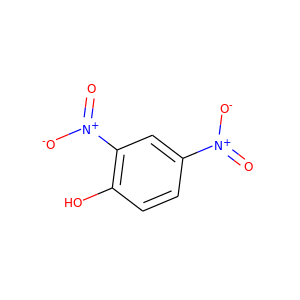 Naphthalene is an organic compound with formula C 10H 8. 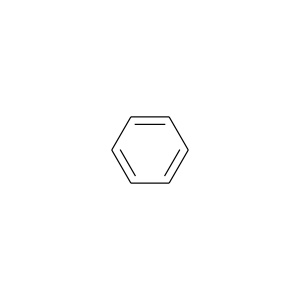 It is the simplest polycyclic aromatic hydrocarbon, and is a white crystalline solid with a characteristic odor that is detectable at concentrations as low as 0.08 ppm by mass. 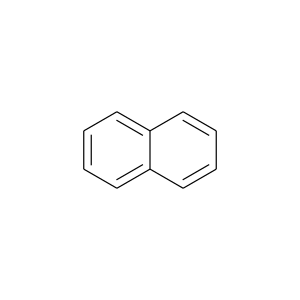 As an aromatic hydrocarbon, naphthalene's structure consists of a fused pair of benzene rings. 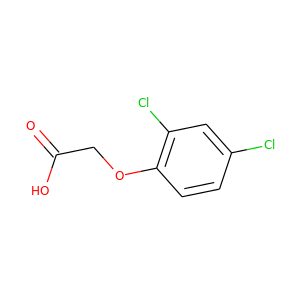 2,4-Dichlorophenoxyacetic acid (usually called 2,4-D) is an organic compound with the chemical formula C8H6Cl2O3. It is a systemic herbicide which selectively kills most broadleaf weeds by causing uncontrolled growth in them, but leaves most grasses such as cereals, lawn turf, and grassland relatively unaffected. 2,4-D is one of the oldest and most widely available herbicides in the world, having been commercially available since 1945, and is now produced by many chemical companies since the patent on it has long since expired. 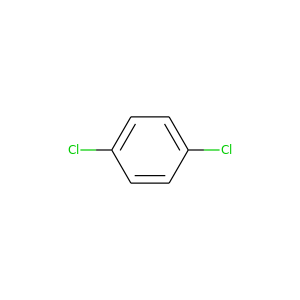 Dichlorodiphenyltrichloroethane (DDT) is a colorless, tasteless, and almost odorless crystalline organochlorine known for its insecticidal properties and environmental impacts. First synthesized in 1874, DDT's insecticidal action was discovered by the Swiss chemist Paul Hermann Müller in 1939. DDT was used in the second half of World War II to control malaria and typhus among civilians and troops. 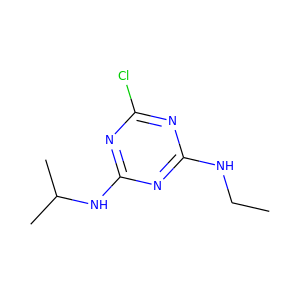 Atrazine is an herbicide of the triazine class. 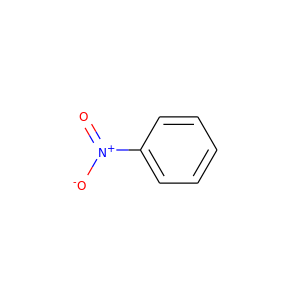 Atrazine is used to prevent pre- and postemergence broadleaf weeds in crops such as maize (corn) and sugarcane and on turf, such as golf courses and residential lawns. It is one of the most widely used herbicides in US and Australian agriculture. 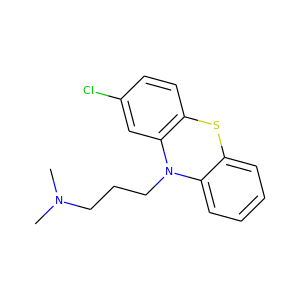 Paroxetine, also known by the trade names Paxil among others, is an antidepressant of the selective serotonin reuptake inhibitor (SSRI) class. It is used to treat major depressive disorder, obsessive-compulsive disorder, social anxiety disorder, panic disorder, posttraumatic stress disorder, generalized anxiety disorder and premenstrual dysphoric disorder. It has also been used in the treatment of hot flashes and night sweats associated with menopause. 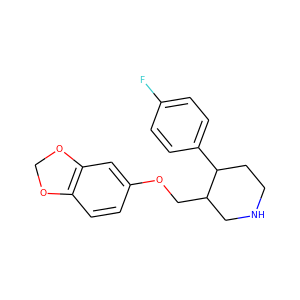 Fenvalerate is an insecticide. It is a mixture of four optical isomers which have different insecticidal activities. The 2-S alpha (or SS) configuration, known as esfenvalerate, is the most insecticidally active isomer. 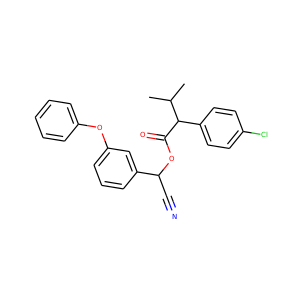 PhIP (2-Amino-1-methyl-6-phenylimidazo[4,5-b]pyridine) is one of the most abundant heterocyclic amines (HCAs) in cooked meat. PhIP is formed at high temperatures from the reaction between creatine or creatinine (found in muscle meats), amino acids, and sugar. PhIP formation increases with the temperature and duration of cooking and also depends on the method of cooking and the variety of meat being cooked. 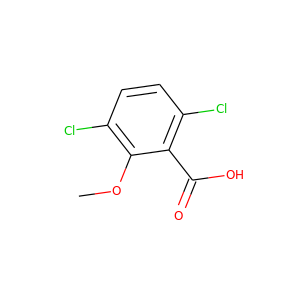 1,4-Dichlorobenzene (1,4-DCB, p-DCB, or para-dichlorobenzene, sometimes abbreviated as PDB or para) is an organic compound with the formula C6H4Cl2. This colorless solid has a strong odor. The molecule consists of a benzene ring with two chlorine atoms (replacing hydrogen atoms) on opposing sites of the ring. Dicamba (3,6-dichloro-2-methoxybenzoic acid) is a broad-spectrum herbicide first registered in 1967. Brand names for formulations of this herbicide include Banvel, Diablo, Oracle and Vanquish. 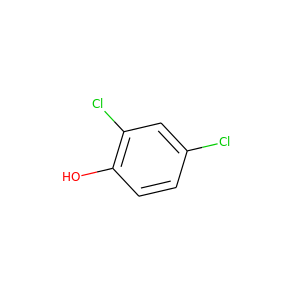 This chemical compound is an chlorinated derivative of o-Anisic acid. 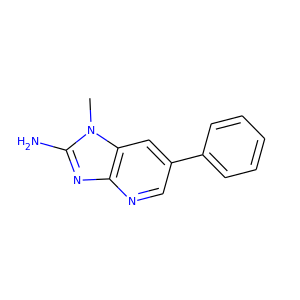 Midazolam, marketed under the trade name Versed, among others, is a medication used for anesthesia, procedural sedation, trouble sleeping, and severe agitation. It works by inducing sleepiness, decreasing anxiety, and causing a loss of ability to create new memories. It is also useful for the treatment of seizures. 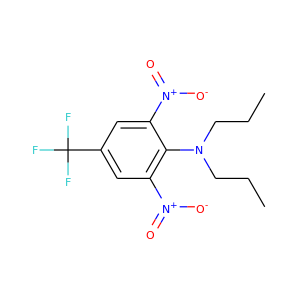 2,4-Dinitrophenol (2,4-DNP or simply DNP) is an organic compound with the formula HOC6H3(NO2)2. It is a yellow, crystalline solid that has a sweet, musty odor. It sublimes, is volatile with steam, and is soluble in most organic solvents as well as aqueous alkaline solutions. 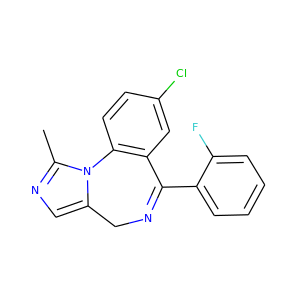 Chlorpromazine (CPZ), marketed under the trade names Thorazine and Largactil among others, is an antipsychotic medication. It is primarily used to treat psychotic disorders such as schizophrenia. Other uses include the treatment of bipolar disorder, attention deficit hyperactivity disorder, nausea and vomiting, anxiety before surgery, and hiccups that do not improve following other measures. Trifluralin is a commonly used pre-emergence herbicide. With about 14 million pounds used in the United States in 2001, it is one of the most widely used herbicides. Trifluralin is generally applied to the soil to provide control of a variety of annual grass and broadleaf weed species. 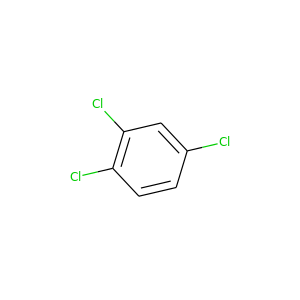 1,2,4-Trichlorobenzene is an organochlorine compound, one of three isomers of trichlorobenzene. 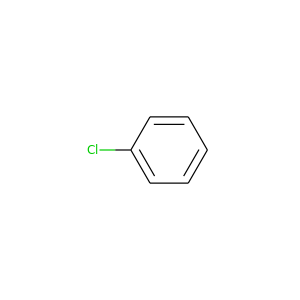 It is a derivative of benzene with three chloride substituents. It is a colorless liquid used as a solvent for a variety of compounds and materials. 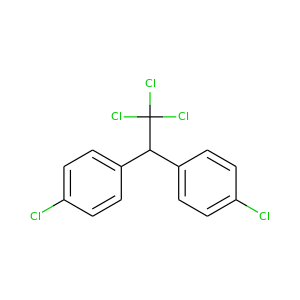 2,4-Dichlorophenol (2,4-DCP) is a chlorinated derivative of phenol with the molecular formula C6H4Cl2O. 2,4-DCP is used primarily as an intermediate in the preparation of the herbicide 2,4-dichlorophenoxyacetic acid (2,4-D). Annual worldwide production is estimated at 88 million pounds.